ScratchWizard Basecoat is a high quality easy-to-apply solvent-borne basecoat that meets national VOC regulations. 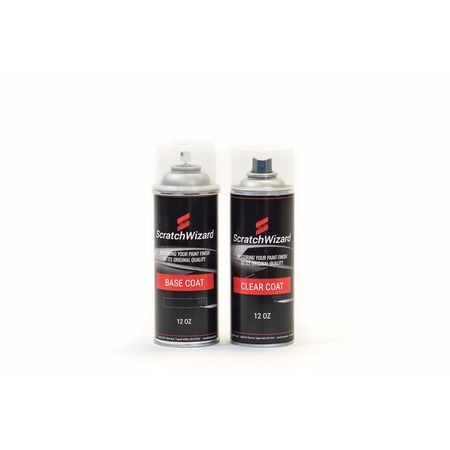 ScratchWizard is formulated to match Original Equipment Manufacturer's (OEM) finish and ideal for exterior automotive spot, scratch or touchup repairs. Please use ScratchWizard Clearcoat with Basecoat to deliver excellent appearance, outstanding gloss, and distinction of image.We guarantee and warrant our paint to match the Original Equipment Manufacturer's (&quot;OEM&quot;) paint color chip based on OEM specifications. Normally, there is a standard formula for each paint code. However, alternative formulas are also offered by OEMs as vehicles can be produced in different factory locations and may have different color schemes. Because of the variance possibility, you (the customer) must always test the paint ordered on our test card that we provide with your order before applying it to your vehicle to ensure a color match. If the color does not match, do not apply the paint to the vehicle. We are not liable for damages incurred that would have been avoided had this test been performed.